Good news for those anticipating for the arrival of this game! NIS America has announced that Operation Babel: New Tokyo Legacy will be arriving on in Spring of 2017 on the PlayStation Vita and Steam. The Vita version is confirmed to have a physical and digital release as well. In addition to this, Operation Abyss: New Tokyo Legacy is currently on Steam and has a page on the game too, releasing in early 2017. We also currently have a review of that game as well too for the Vita! 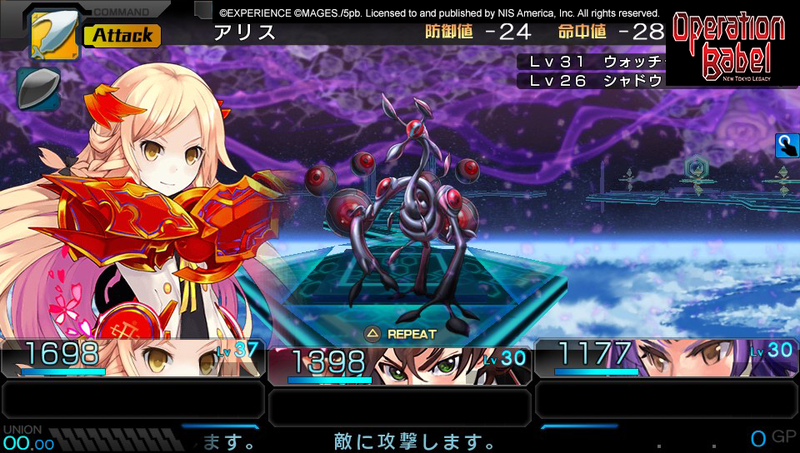 Continue the story of Operation Abyss and defend near-future Tokyo from a new threat in this dungeon crawling RPG. When a mysterious object -dubbed ‘the Embryo’ -appears in the sky, the CPA and the Xth Squad are mobilized to face the new threat. Venture into challenging new labyrinths and create the perfect team to challenge each threat. Featuring a mysterious new story, unprecedented character customization through the new ‘Sub-Blood’ system, and item-based character ability modifications, Operation Babel: New Tokyo Legacy will give you a world to lose yourself in. Extensive Character Customization -Expanding on Operation Abyss’ Blood Code system, you’ll now be able to assign characters supplemental Blood Codes to create hybrid job classes. Challenge and Reward -With the return of the Rise & Drop system you’ll be able to recover increasingly powerful drops -if you’re willing to risk increasingly powerful enemies. A New Operation to Complete -After a short period of peace in near-future Tokyo, dive into the battlefield once again and continue the story of the Xth Squad in a new mysterious adventure.